The Supreme Court has observed that liberty granted by court to avail 'appropriate remedies' to a party does not bar application of principle of constructive res judicata when he/she invokes such a remedy. In this case (Asgar vs. Mohan Verma), the Kerala High Court allowed the appeal against the appellants, holding that tenants at sufferance were not entitled to any estate or property and the right to remain in possession could not have been assigned. As regard their argument that they would be entitled to compensation under the Kerala Compensation for Tenants Improvements Act 1958, the court said that it would not go into the question because it did not arise from the order on the claim petition. While dismissing the Special Leave Petition against this judgment, the High Court held that "insofar as the question of compensation for improvements made by the appellants is concerned, the appellants were free to pursue an appropriate remedy for the redressal of their grievances in accordance with law." Thereafter, the appellants filed an application before the Executing Court for the payment to them of the value of improvements over the property, before an order for delivery of possession was made. The court dismissed this application. The High Court, dismissing the writ petition challenging this order, held that claims advanced by the appellants for the value of the improvements alleged to have been made on the property were barred by the principle of constructive res judicata. "These observations as contained in the order of this Court cannot be construed to mean that the respondents would be deprived of their right to set up a plea of constructive res judicata if the appellants were to raise such a claim. The appellants were, as this Court observed, free to pursue the "appropriate remedy for redressal of their grievances in accordance with law." This must necessarily be construed to mean that all defences of the respondents upon the invocation of a remedy by the appellants were kept open for decision. The liberty granted by this Court was not one-sided. It encompasses both the ability of the appellants to take recourse and of the respondents to raise necessary defences to the invocation of the remedy." The bench also explained the 'might and ought' expression in Explanation IV of Section 11 of the Code of Civil Procedure (constructive res judicata). Senior Advocate V Giri, placing reliance on a judgment by House of Lords, urged that it is necessary for the court to bear in mind the fundamental distinction between res judicata and constructive res judicata. He contended that the former encompasses a matter which was directly and substantially in issue in a previous suit between the same parties and has been adjudicated upon, the latter brings in a deeming fiction according to which a matter which might and ought to have been advanced in a previous suit would be deemed to be directly and substantially in issue. Therefore, according to him, a 'degree of circumspection' must be exercised in the application of the principle of constructive res judicata. "The fundamental policy of the law is that there must be finality to litigation. Multiplicity of litigation enures to the benefit, unfortunately for the decree holder, of those who seek to delay the fruits of a decree reaching those to whom the decree is meant. Constructive res judicata, in the same manner as the principles underlying res judicata, is intended to ensure that grounds of attack or defence in litigation must be taken in one of the same proceeding. A party which avoids doing so does it at its own peril. In deciding as to whether a matter might have been urged in the earlier proceedings, the court must ask itself as to whether it could have been urged. 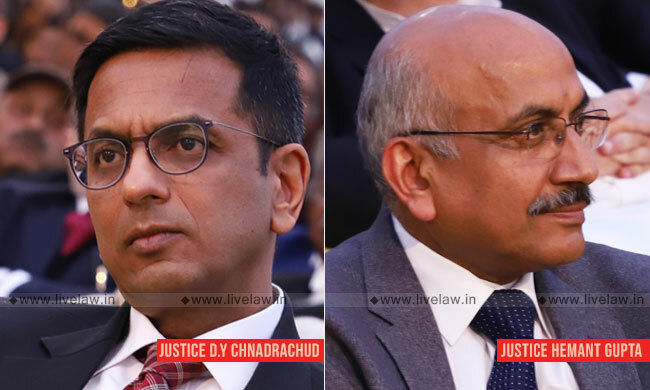 In deciding whether the matter ought to have been urged in the earlier proceedings, the court will have due regard to the ambit of the earlier proceedings and the nexus which the matter bears to the nature of the controversy. In holding that a matter ought to have been taken as a ground of attack or defence in the earlier proceedings, the court is indicating that the matter is of such a nature and character and bears such a connection with the controversy in the earlier case that the failure to raise it in that proceeding would debar the party from agitating it in the future." "Under Section 11, a matter which has been directly and substantially in issue in a former suit between the same parties or between parties litigating under the same title cannot be raised before a court subsequently, where the issue has been heard and finally decided by a competent court. Explanation IV enacts a deeming fiction. As a result of the fiction, a matter which "might and ought" to have been made a ground of defence or attack in a former suit shall be deemed to have been a matter directly and substantially in issue in such a suit. In other words, Explanation IV is attracted when twin conditions are satisfied: the matter should be of a nature which might and ought to have been made a ground of defence or attack in a former suit." "The claim which the appellants have now sought to assert for compensation under Section 4(1) of the Act of 1958 is intrinsically related to the claim which they asserted in the earlier round of proceedings to remain in possession. Indeed as we have seen, the appellants seek to resist the execution of the decree on the ground that they are entitled to continue in possession until their claim for compensation is determined upon adjudication and paid. Such a claim falls within the purview of Explanation IV to Section 11 of the CPC. Such a claim could certainly have been made in the earlier round of proceedings. Moreover, the claim ought to have been made in the earlier round of proceedings. The provisions of Order XXI Rules 97 to 103 constitute a complete code and provide the sole remedy both to parties to a suit and to a stranger to a decree. All questions pertaining to the right, title and interest which the appellants claimed had to be urged in the earlier Execution Application and adjudicated therein. To take any other view would only lead to a multiplicity of proceedings and interminably delay the fruits of the decree being realized by the decree holder."